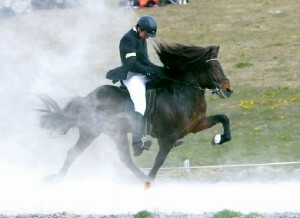 A promising mare, daugher of Kjerúlf frá Kollaleiru (8.44) and Skessa frá Kanastöðum (8.10). 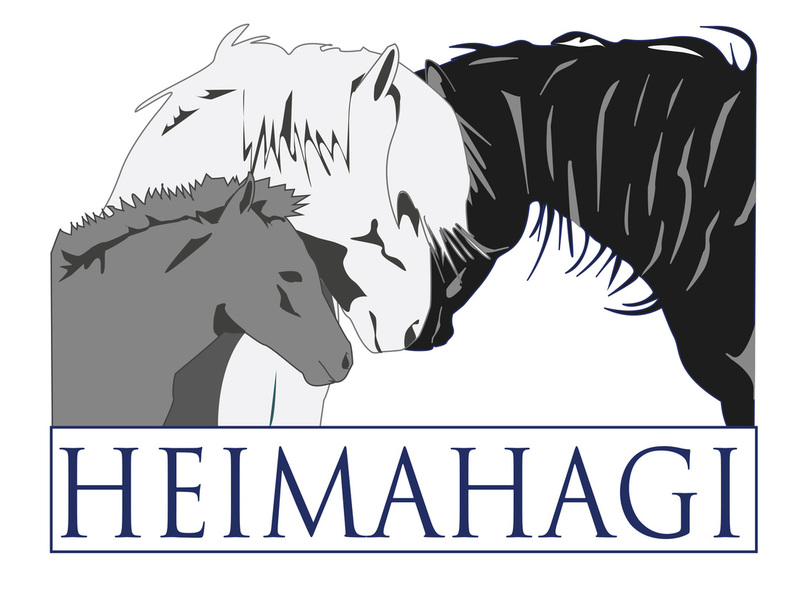 Úlfhildur frá Kanastöðum is a promising mare, daugher of Kjerúlf frá Kollaleiru (8.44) and Skessa frá Kanastöðum (8.10). 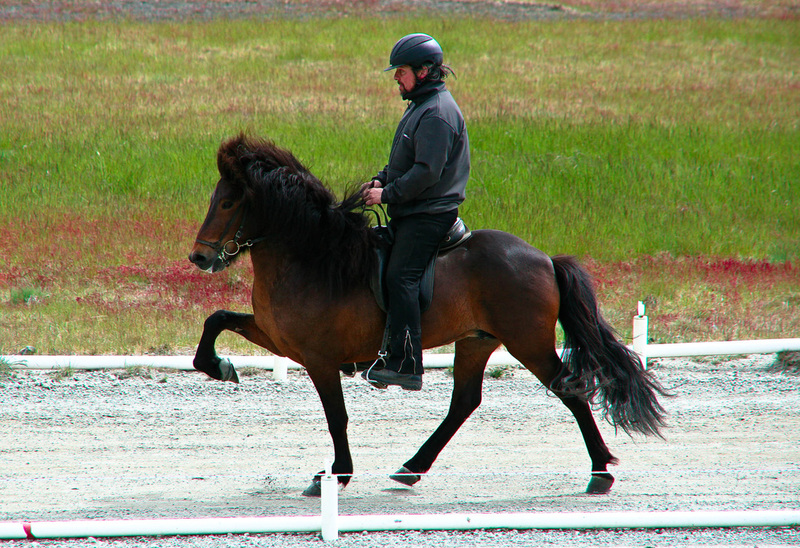 Skessa frá Kanastöðum is a four gaited mare that has 8.15 for Riding Abilities; 9 for tölt, 8.5 for trot, 8.5 for gallop, 9 for spirit, 8.5 for general impression and 6.5 for walk. 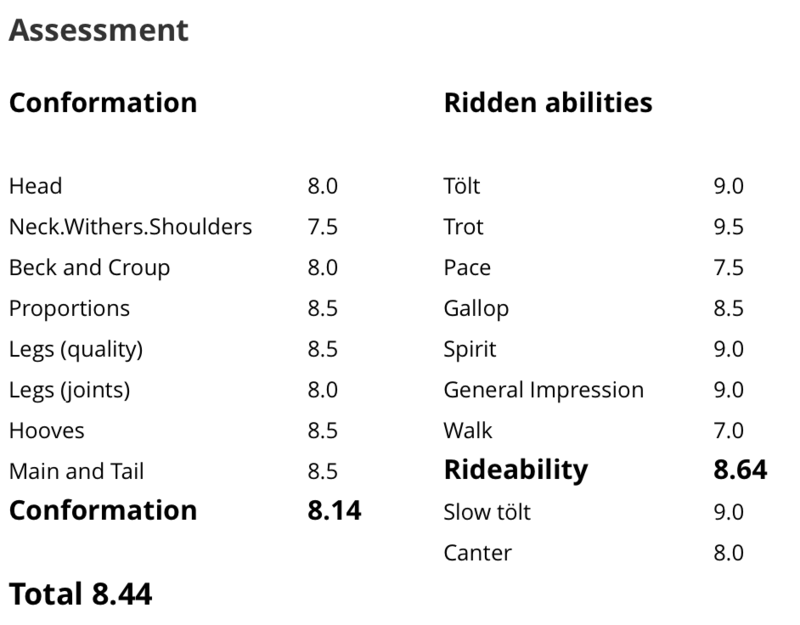 Skessa has also 8 for slow tölt and 8 for canter. 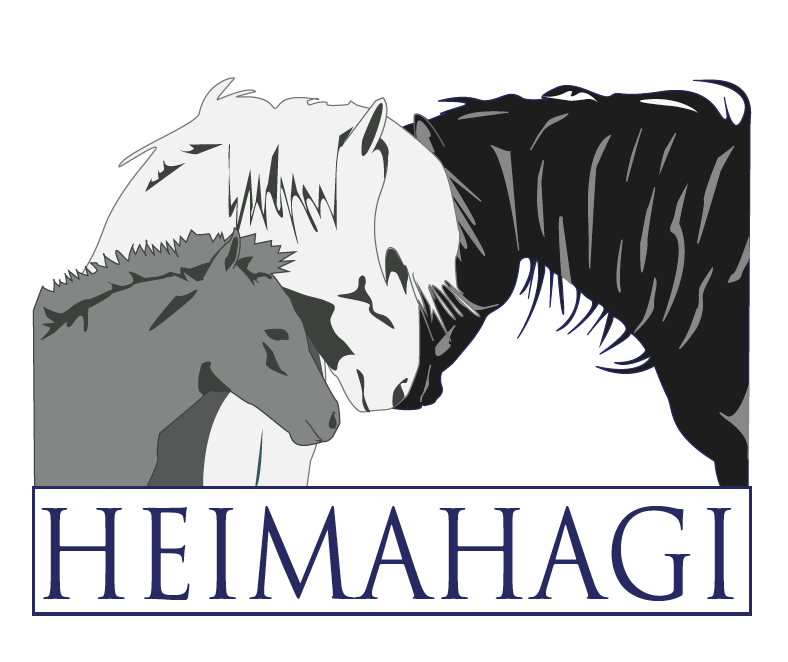 She's daughter of the four gaited stallion, Víkingur frá Voðmúlastöðum (8.35), that has 8.12 for Conformation and 8.59 for Riding Abilities; 10 for tölt, 9 for trot, 8 for gallop, 9 for temperament, 8.5 for character and 9 for general impression, and Lyfting frá Kanastöðum. 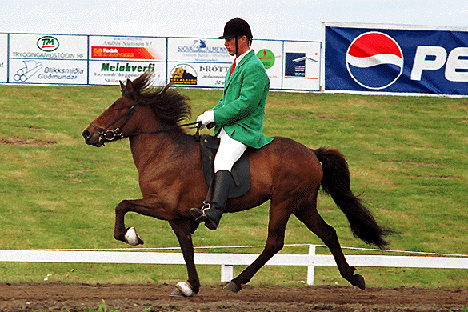 Úlfhildur's father, Kjerúlf frá Kollaleiru (8.44), is son of the four gated stallion Taktur frá Tjarnarlandi (8.37). 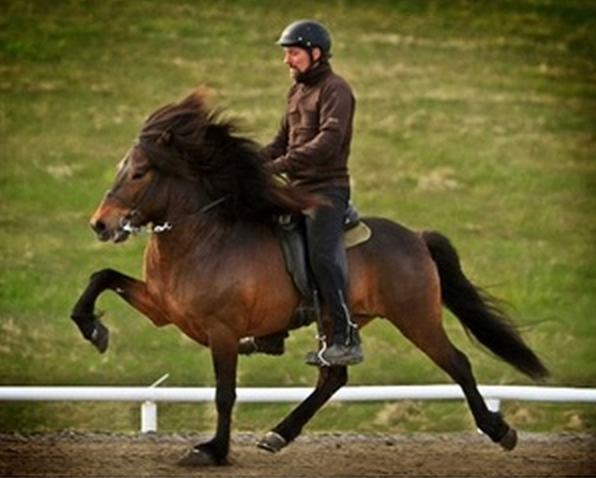 Taktur (son of Orri frá Þúfu) has 8.51 for Riding Abilities; 9.5 for tölt, 9.5 for trot, 9 for gallop, 9 for spirit and 9 for general impression, and Fluga frá Kollaleiru (8.24), she had 8.73 for Riding Abilities; 9 for tölt, 8.5 for trot, 8.5 for pace, 8.5 for gallop, 9 for temperament, 8.5 for character and 8.5 for general impression.